Winter holidays in Ötztal stand for a full range of variety and myriad experiences in Tirol's longest side valley: 6 ski areas, including two glacier ski mountains, more than 350 slope kilometers and prime infrastructures guarantee both variety & absolute snow reliability for your ski vacation in Ötztal. Off the beaten ski slopes, the valley shows countless other winter facets: Snowshoe and winter hiking, tobogganing, ski touring or cross-country skiing promise relaxing adventures in Ötztal. The wide range of hotels, guesthouses & apartments ensures unrivaled relaxation - the matching accommodation in Ötztal is provided for sure during your stay in Ötztal. To cut a long story short: If you decide to enjoy a memorable ski holiday in Ötztal's hotels you will experience mountains and hospitality at their best. And experience a truly memorable Ski Holiday in Tirol in its most varied and authentic facets. We wish you a Happy Easter and sunny holidays! Sadly we have to accept the news about David Lama and Hansjörg Auer who had a deadly accident in the course of a joint expedition in Canada. Together with their American mountaineering friend Jess Roskelley they were killed in an avalanche. For many years we had a close friendship with Hansjörg and David - both exceptional alpinists of our time. As a partner, we have always been proud to rely on these extraordinary personalities in their role as Ötztal promotors. As friends and Ötztal locals we are devastated by the news that Hansjörg, a valued member of our valley's community, has been affected by such a fateful event in his beloved mountains. We were allowed to meet David as a very special person with a unique sporting gift. Our thoughts are with the two families and all friends, we share their grief in this tragedy. Slope conquerors and ski heroes! 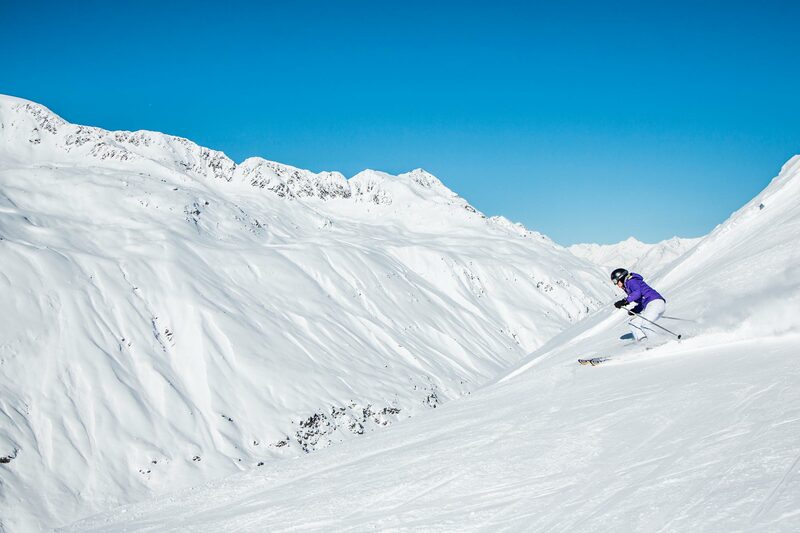 Skiing in Ötztal stands for enjoying a bit more than usual: 6 splendid ski areas including two glacier ski mountains, over 350 slope kilometers and top infrastructures. 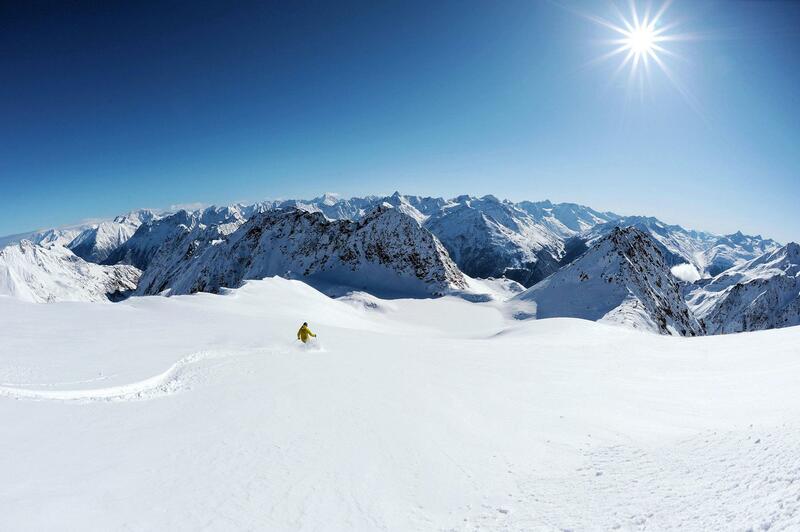 Sölden and Obergurgl-Hochgurgl, two of the Alps' most renowned winter regions, can be found in one valley. Snow sport aficionados look forward to the full variety of winter. But there are also cozy and familiar slopes such as in the Hochoetz-Kühtai ski region or the valley's tiny ski areas of Vent, Niederthai and Gries. 25 mountain lifts plus 80 immaculate slope kilometers take winter sport enthusiasts up to 2000 meters altitude and beyond. The ski area at the entrance to Ötztal makes a true paradise for families and children: ski school, kids' activity course, WIDI's Kids Club, an indoor kindergarten and a Snow Village offer a huge choice of holiday activities. Here beginners will feel at ease immediately: 3 T-bar ski lifts for the very first turns on snow, comprising 4 kilometers of slopes. Ski school plus equipment rental are available on site. Away from everyday hustle and bustle, the small winter sports village in secluded Sulztal offers a beginner-friendly ski lift including practicing slopes and absolute snow reliability until mid-April. One of Europe's most popular ski and snowboard centers lives up to its excellent reputation: 31 state-of-the-art mountain lifts up to 3340 meters above sea level and 144 slope kilometers that take you downhill again. 2 glacier ski areas complete with snowmaking systems offer absolute snow guarantee. The Alpine Ski World and fun-filled side events are part of the standard program. What's so special? Skiers reach the glacier slopes right from the village. Not without reason Obergurgl-Hochgurgl is referred to as the Diamond of the Alps. Prime quality for a maximum of enjoyment on 112 immaculate slope kilometers served by 24 mountain lifts. The high Alpine location and absolute snow reliability promise perfect conditions in the rear Ötztal. Highlight: Topexpress connecting gondola between Obergurgl and Hochgurgl. Small and lovely - without any waiting times. 15 km of ski slopes and 4 ski lifts await you in the rear valley's pleasant ski area that focuses on both quality and winter fun.